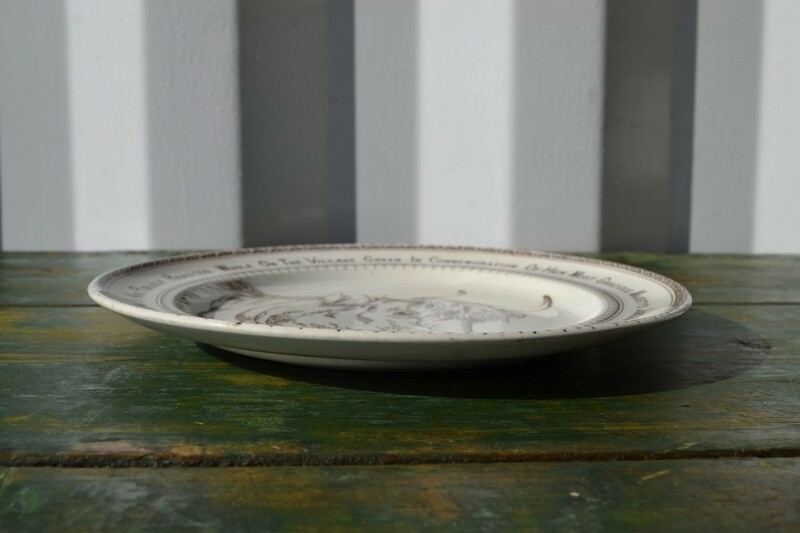 A Victorian commemorative plate for the 1887 Jubilee ox roasting of Whittle- le-Woods. 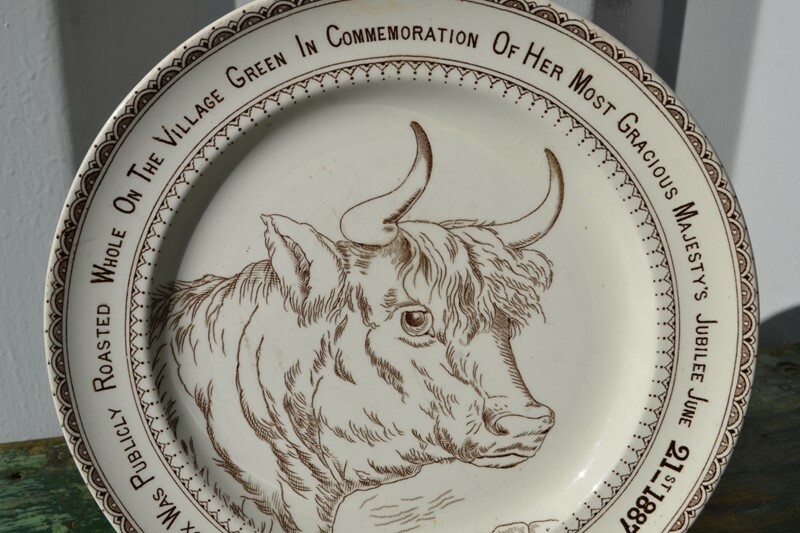 Made of white ironstone pottery and decorated with a full under glaze sepia transfer - showing an Ox looking over a wall, decorative borders and bold typeface honoring the event around the edge. 'An Ox was publicly roasted whole on the village green in commemoration of her most gracious majesty's Jubilee - June 21st 1887'. Produced by H. G. Stephenson, Barton Arcade, Manchester, with his mark on the underside in the same sepia print. Perfect condition with no damage and very little wear.